Crystal Beshara obtained her BFA in Studio and a 3 year diploma from The Society of Botaincal Artists (UK). 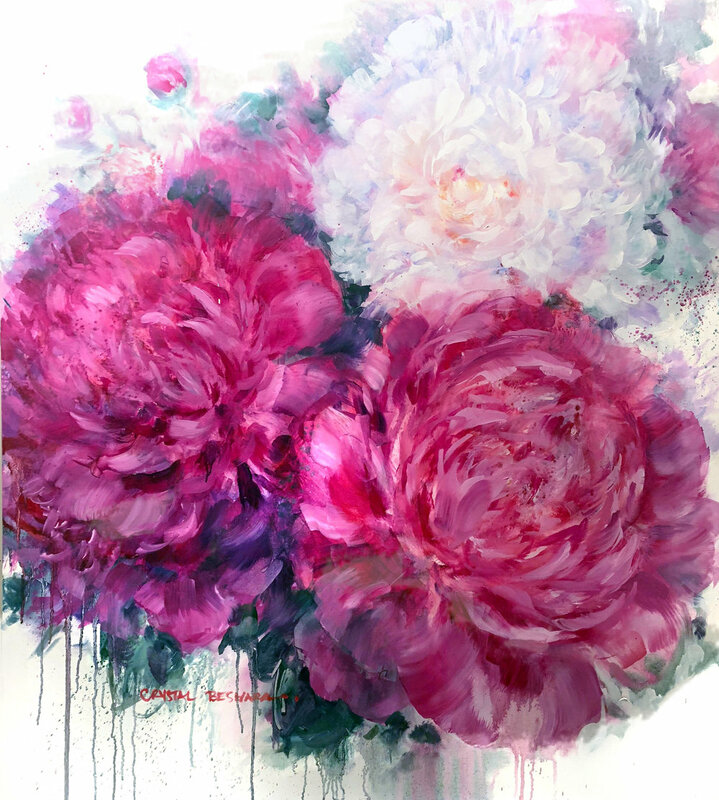 Her botanical background and understadning of the anatomy of a flower offers structure and discipline to her otherwise exhuberant and expressive "deconstructed" take on the traditional romantic floral painting. This rustic / modern juxtoposition has been the appeal to private and corporate collectors alike for home and office spaces. Crystal Beshara is an award winning Canadian contemporary realist painter working in oils, watercolours, pencil, pastel. She accepts commissions for personal, graphic design or commercial work. She teaches art classes in Ottawa and offers painting excursions internationally. Be the first to know about workshops, classes and events!